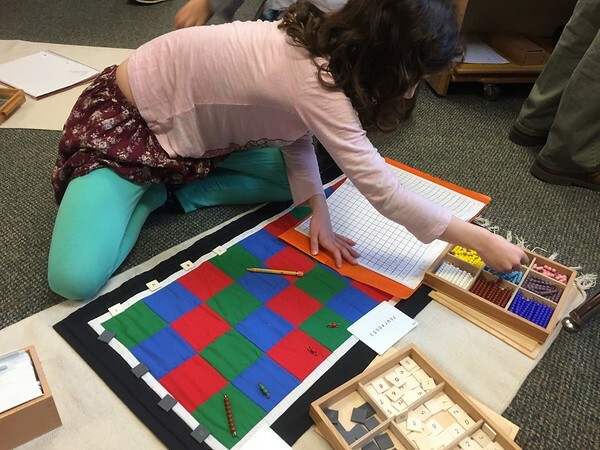 Montessori math materials are some of the most beautiful and inviting pieces in your child's classroom. They were created to inspire curiosity in the child while helping to expand concentration, build confidence, and encourage independence. Join us as we explore Montessori math materials from Infant (12 months) through Upper Elementary (9-12 years old). Each family will receive a copy of Math Works, by Michael Duffy, where he gives concise explanations of Montessori math materials. You will also have the opportunity to ask questions, get presentations, and complete a work! This event is open to the public but registration is required and limited to the first 36 families to sign up. There is a $10 supply fee per family for the Math Works book.Childcare is available to all current MSGL students and their siblings ages 2 to 9. The cost for childcare is $10 per child and includes age appropriate activities and pizza. Reservations MUST be made for childcare. Once you have signed your child up for childcare, you will be billed. Food and staffing are based on registration numbers. Childcare cancellations must be made at least 24 hours in advance of the event. Thank you for understanding. Please register online today. Deadline to register is Friday, November 30th. All events in the Montessori Explained Series qualify as part of the service hour requirement; up to a maximum of 6 hours.